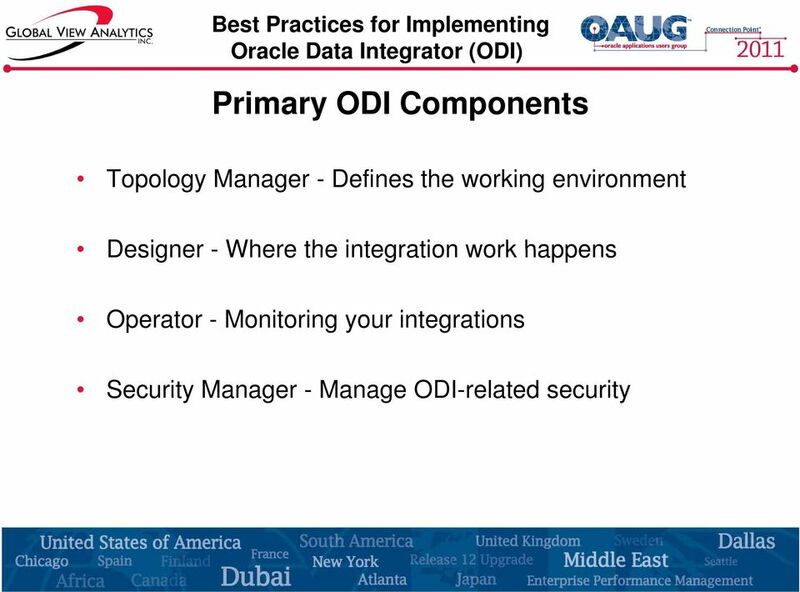 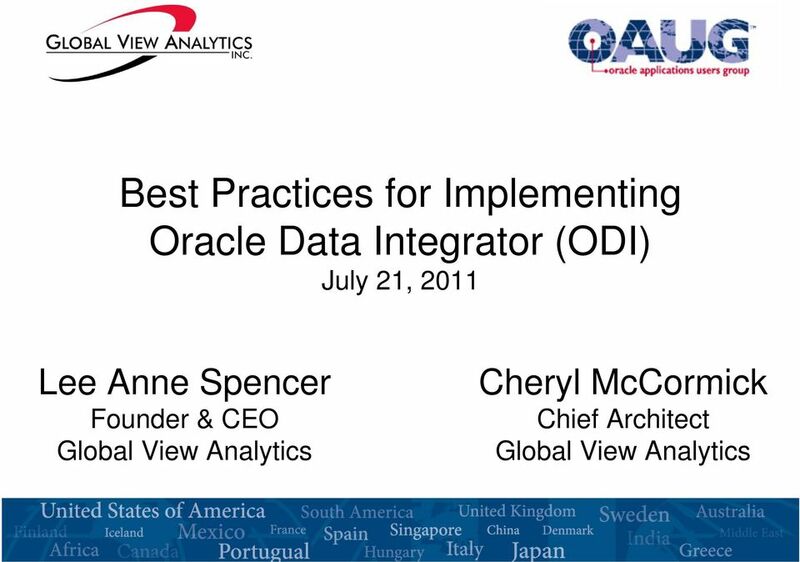 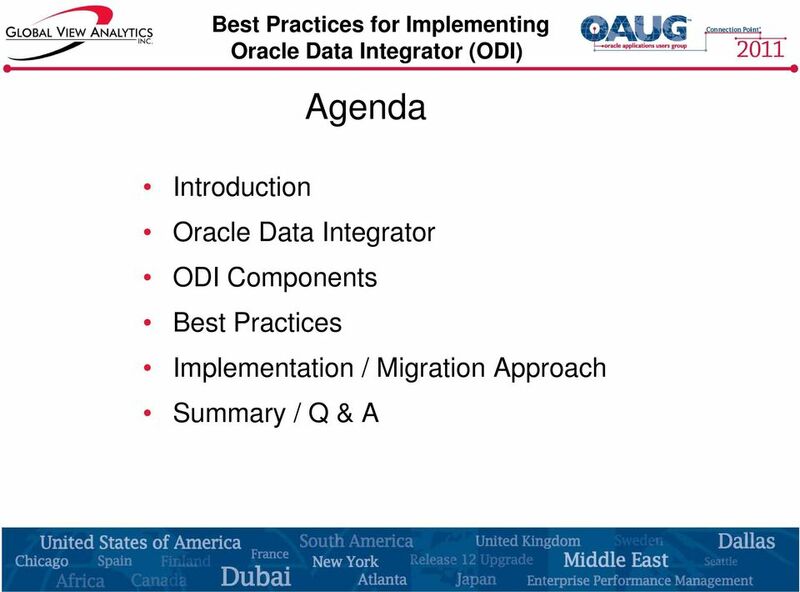 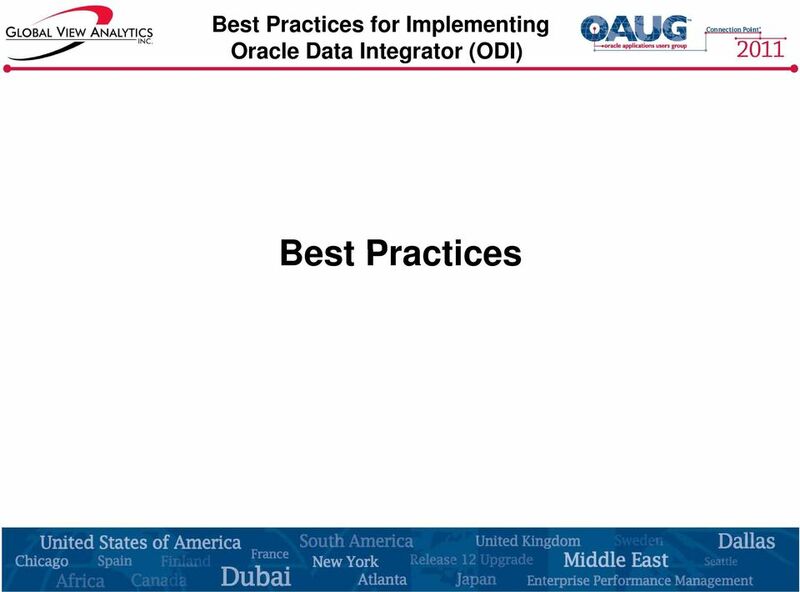 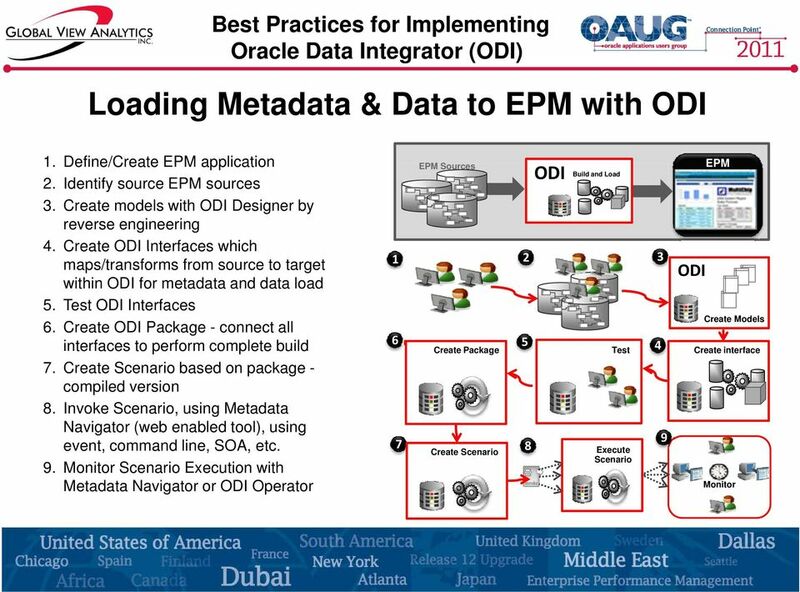 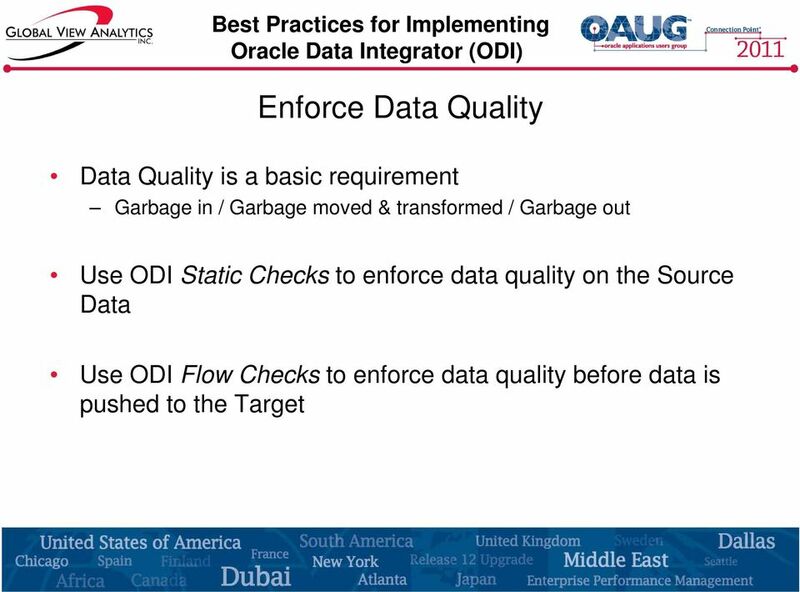 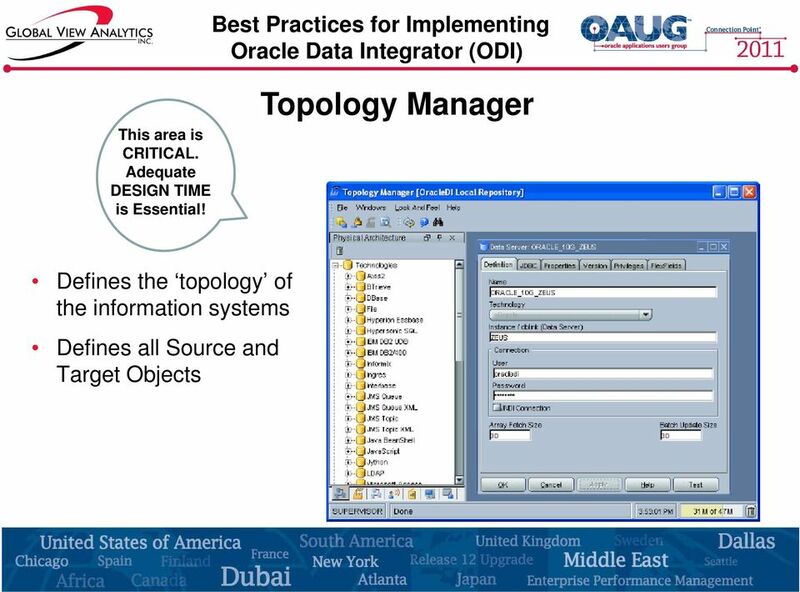 Download "Best Practices for Implementing Oracle Data Integrator (ODI) July 21, 2011"
21 Context-Independent Design Typical mistake we all make we used qualified object names Example: staging.temp_table t t where staging is the schema name = context dependant design Consider using Substitution Methods [ODIRef API]. 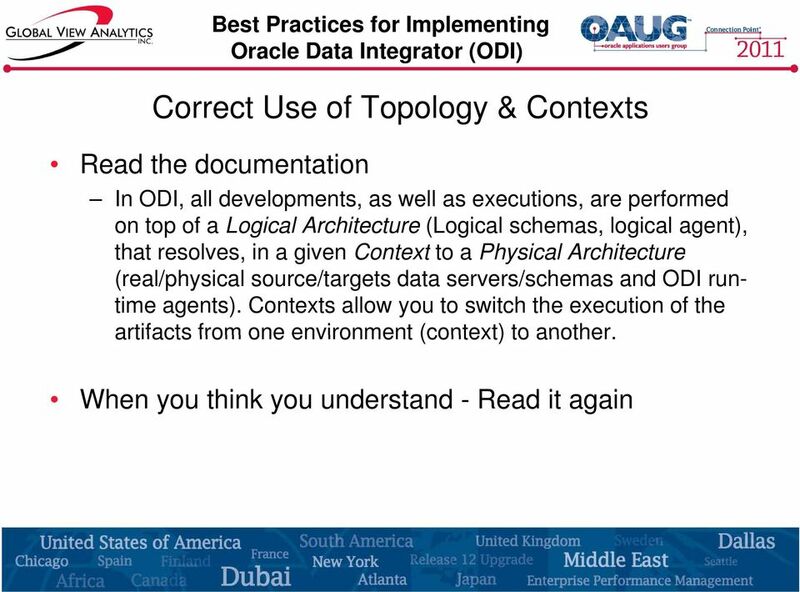 Ensures the qualified object name is determined according to the Context you are using to generate your code. 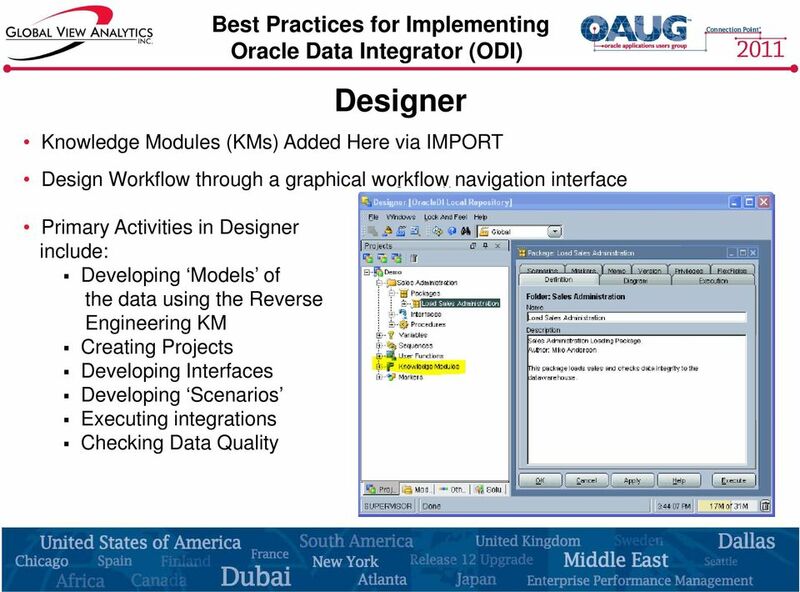 23 Utilize the Standard KMs Before customizing or writing KMs, take the time to read and understand the various options available with the delivered KMs Customized KMs are not supported Customized KMs need to be manually maintained during upgrades and possibly patches. 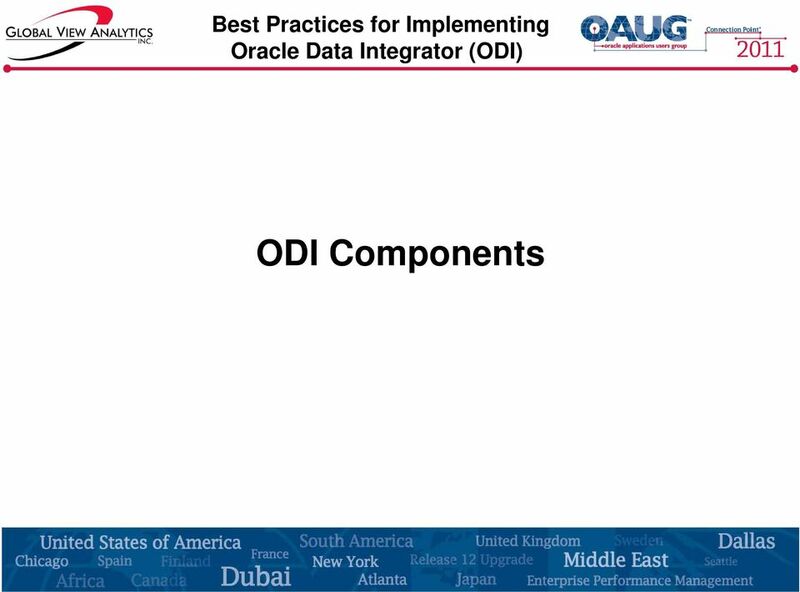 31 4) Design and Develop ODI Objects Packages -sequence of organized steps Interfaces - a set of rules that define the loading of a Datastore or a temporary target structure from one or more source Datastores Procedures - a reusable component that groups operations that do not fit in the Interface framework. 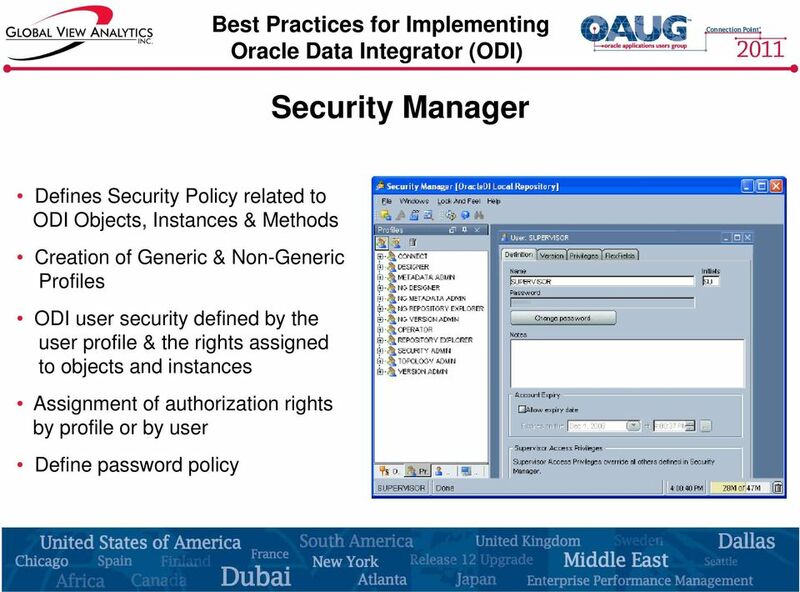 Can be encrypted. 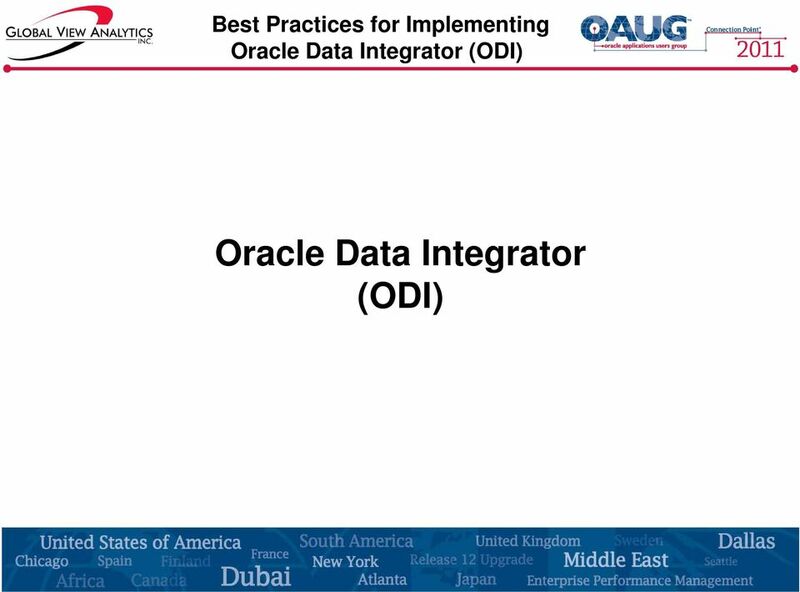 Variables - a variable s value is stored in ODI & can be changed during execution Sequences - a variable automatically ti incremented when used User Functions - customized functions useable in Interfaces & Procedures Knowledge Modules - define methods related to a specific technology. 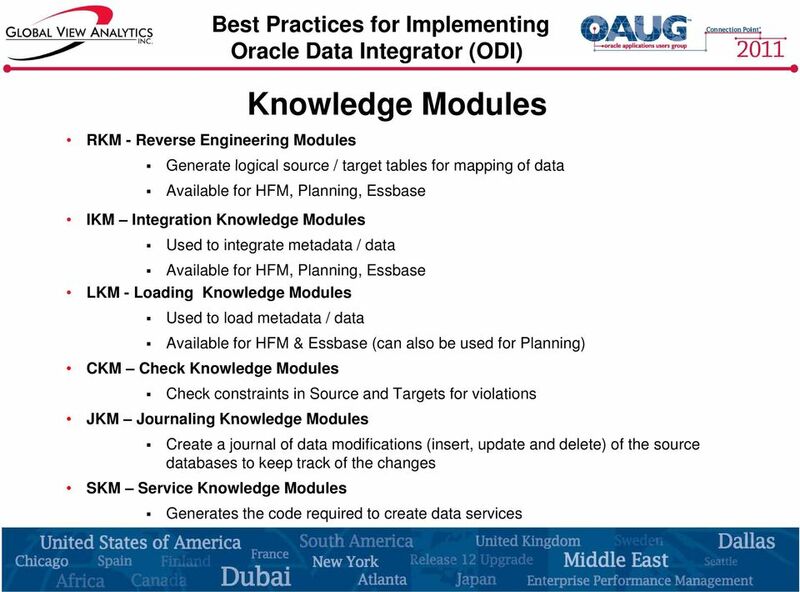 can be encrypted Markers - Flags (markers) are used to group and/or identify methodology Scenarios - when a component is finished it is compiled into a scenario. 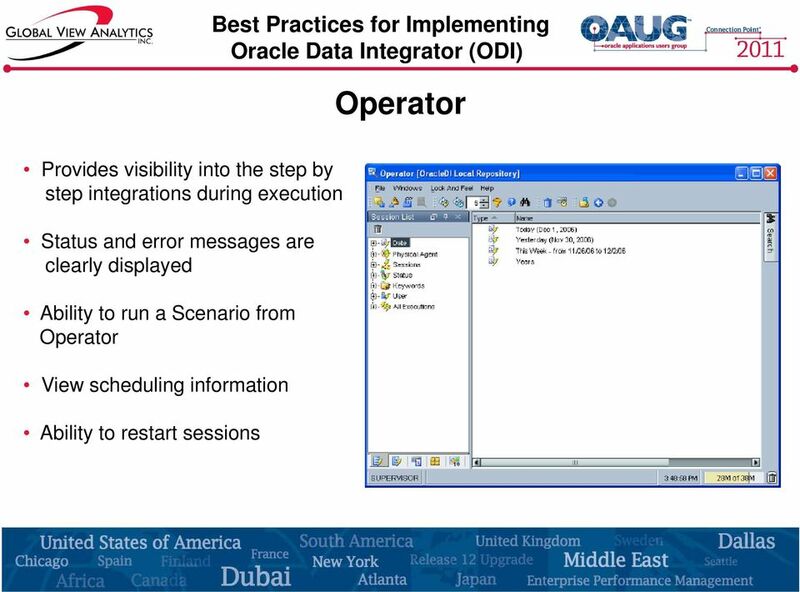 A scenario is the execution unit for production and can be scheduled. 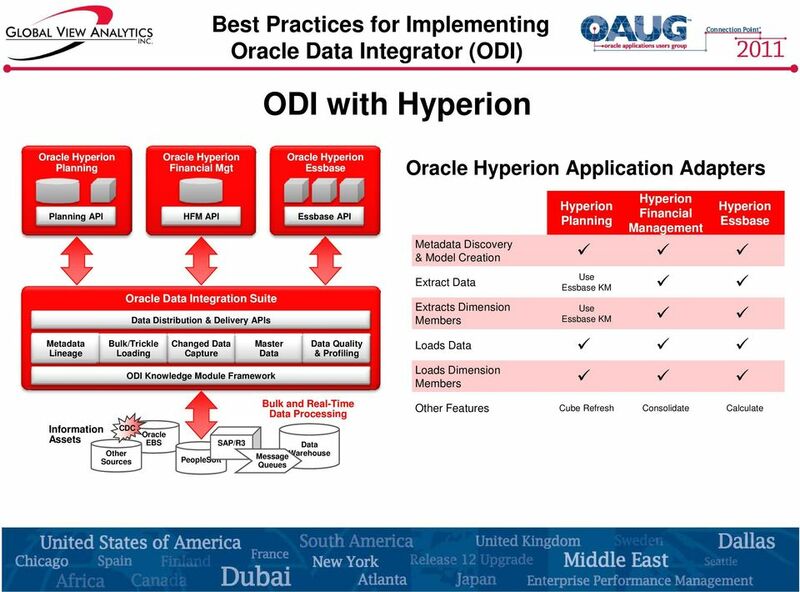 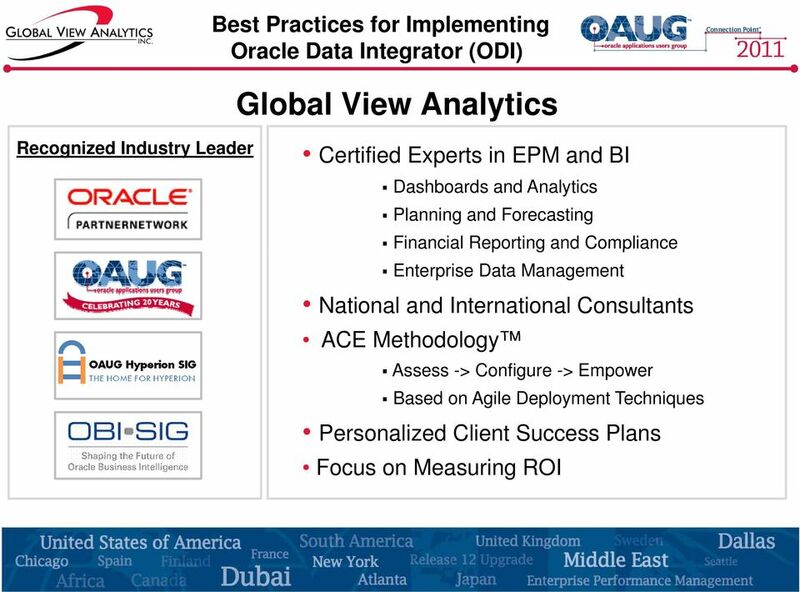 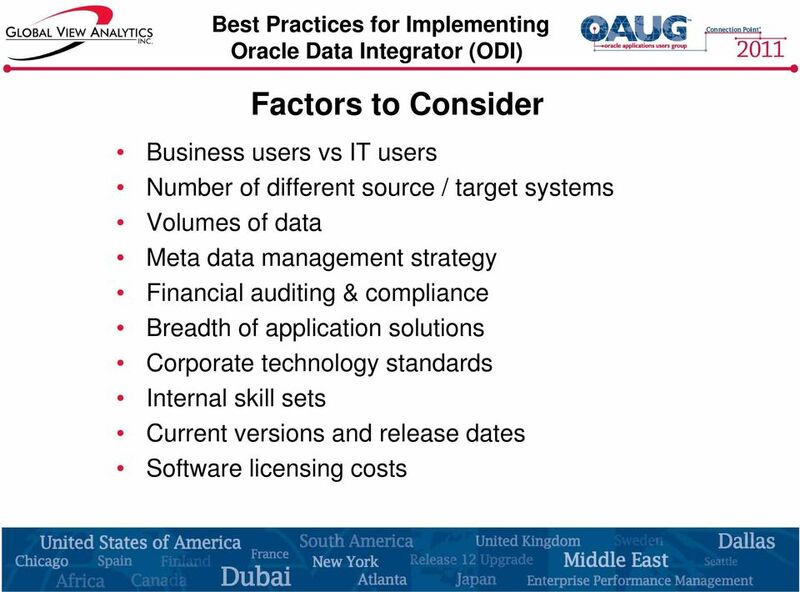 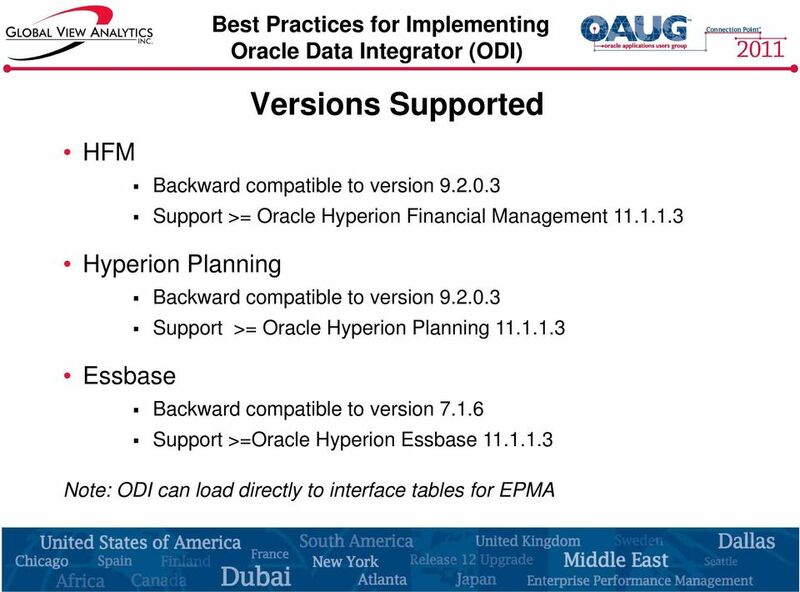 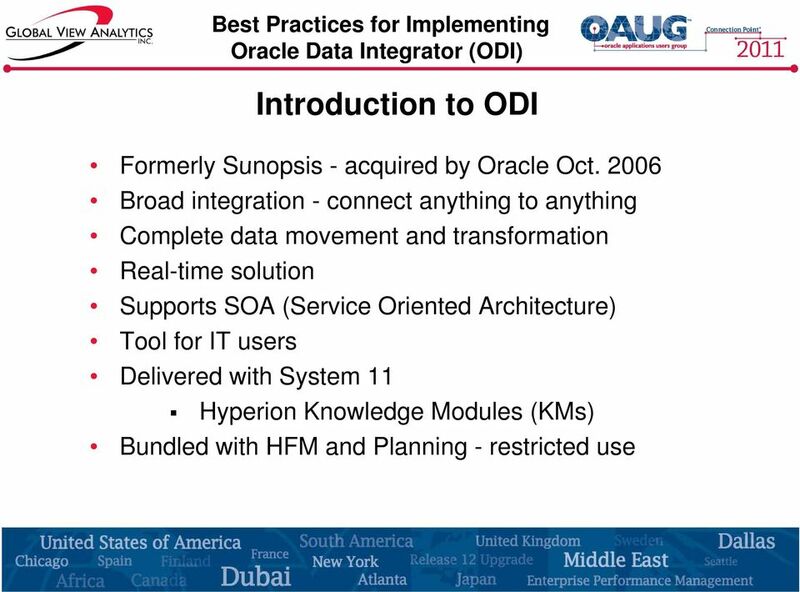 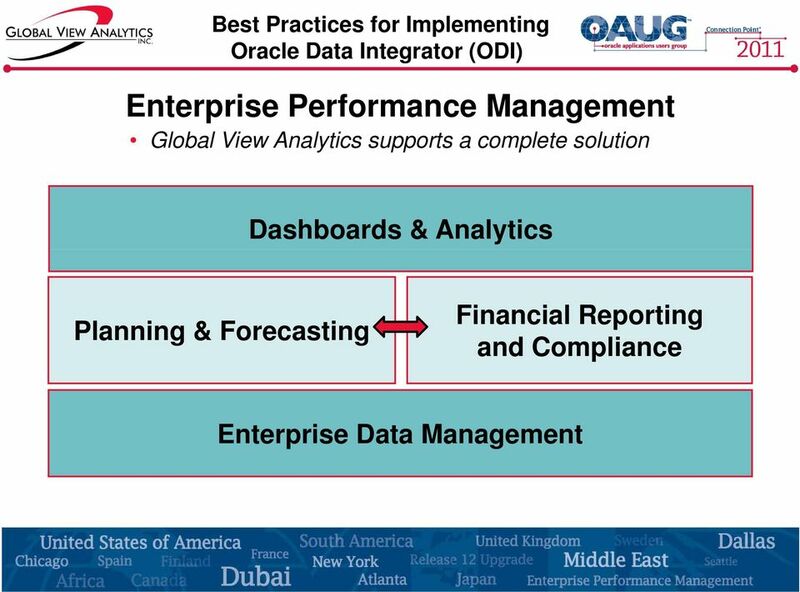 Oracle Fusion Middleware Getting Started with Oracle Data Integrator 12c October 2015 Oracle Fusion Middleware Getting Started with Oracle Data Integrator, 12c Copyright 2010, 2015, Oracle and/or its affiliates.